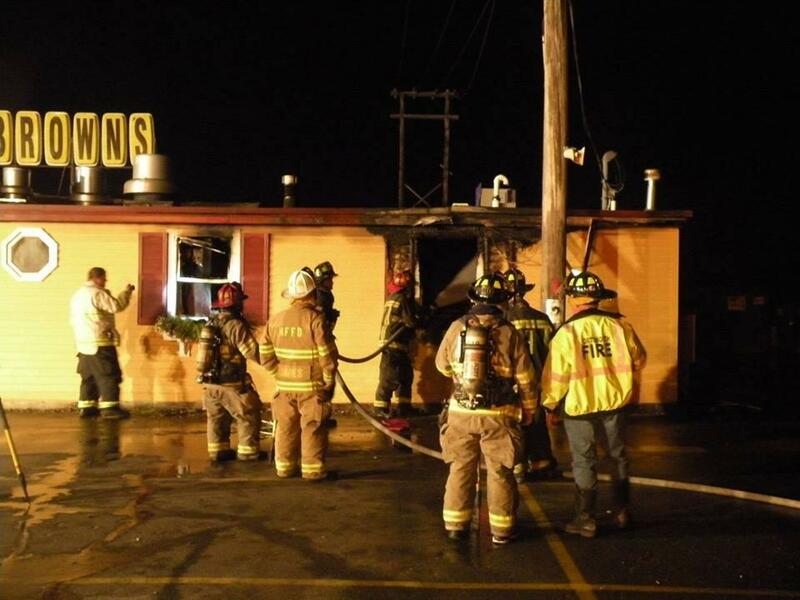 Officials are investigating what caused an early morning fire that heavily damaged a popular New England seafood restaurant. Firefighters got a call shortly before 3 a.m. about the fire at Brown's Lobster Pound in Seabrook, New Hampshire. Seabrook firefighter Barry Sargent says the fire destroyed the rear of the building and kitchen and caused smoke and water damage to the dining room. No one was injured. The iconic lobster pound on the coast has been open since 1950. The owners say they will be back in business as soon as possible.